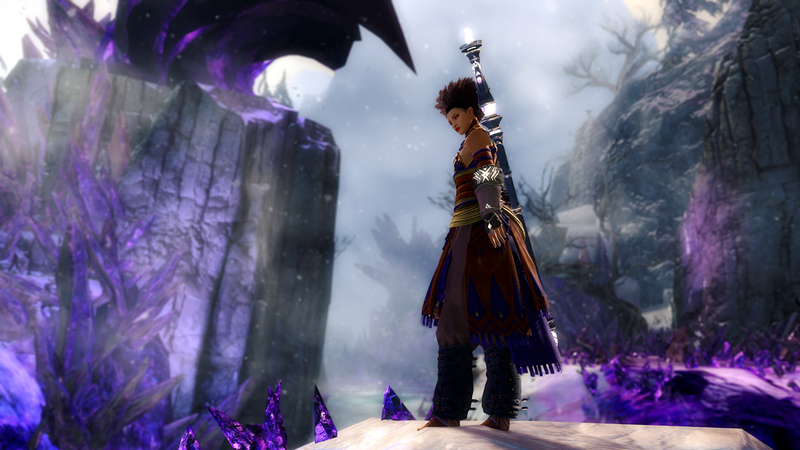 The showdown with the Elder Crystal Dragon, as ArenaNet reveals what's next for Guild Wars 2's Living World storyline. Guild Wars 2 is marching towards the next episode for The Living World Season 4 and it looks like things are shaping up for a cataclysmic battle. On Wednesday morning, ArenaNet revealed a new trailer for the next big piece of the Guild Wars 2 story, along with details on what players can expect to see and pick up along the way. Episode 5 is titled "All or Nothing." A confrontation with the Elder Crystal Dragon Kralkatorrik appears to be inevitable and the Commander is ready to face this challenge head-on. As the Commander prepares for what's being billed as the ultimate showdown, Tyria stands to be changed forever. Can the heroes of Tyria stand together and kill the Elder Crystal Dragon? Can the Elder Crystal Dragon even be killed? In addition to this new piece of the Guild Wars 2 story, players will find a new fractal called Siren's Reef. This instance will see players work to break the island's curse, as they're continually attacked by swarms of ghost pirates. They'll also find a new legendary longbow, Pharus, which will utilize the power of cosmic light, a new mount mastery called Bond of Faith, a new Diviner gear set, and a new upgradeable "Dragonsblood" weapon set. Arguably the most interesting of the new content, outside of the narrative additions, is the new map. Thunderhead Peaks should look familiar to veterans of the Guild Wars franchise. This will be the first return to the dwarven Thunderhead Keep since the original Guild Wars. All of the aforementioned features are free to all owners of Guild Wars 2: Path of Fire. Look for "All or Nothing" to continue Guild Wars 2's Living World story soon. In the meantime, Guild Wars 2's Wintersday event is already underway and is set to continue all the way through January 2.